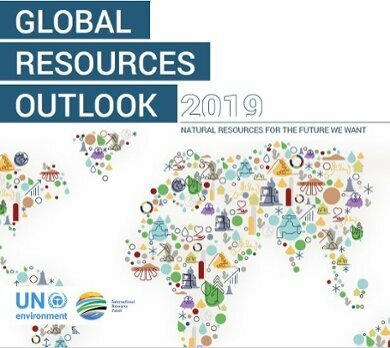 The International Resource Panel of the United Nations Environment Programme, with CML researcher Ester van der Voet as member, has prepared a report called Global Resources Outlook 2019: Natural Resources for the Future We Want. It examines the trends in natural resources and their corresponding consumption patterns since the 1970s to support policymakers in strategic decision-making and transitioning to a sustainable economy. According to the report, "the extraction and processing of materials, fuels and food make up about half of total global greenhouse gas emissions and more than 90 per cent of biodiversity loss and water stress". By 2010, land-use changes had caused a loss of global species of approximately 11 per cent. "The Global Resources Outlook shows that we are ploughing through this planet's finite resources as if there is no tomorrow, causing climate change and biodiversity loss along the way," said Joyce Msyua, Acting Executive Director of UN Environment. "Frankly, there will be no tomorrow for many people unless we stop."